Galliford Try is undertaking a strategic review of its construction business after issuing a fresh profit warning. The Department for Transport plans to make utilities contractors guarantee their reinstatement’s for five years. Transport secretary Chris Grayling has launched a consultation on increasing the guarantee on utility firms’ roadworks form two years to five years, so that if a pothole forms as a result within five years, the company must return to bring the road surface back to normal. The consultation seeks views on a new edition of the Specification for the reinstatement of openings in highways, a statutory code of practice for street works. It also introduces new asphalt standards. 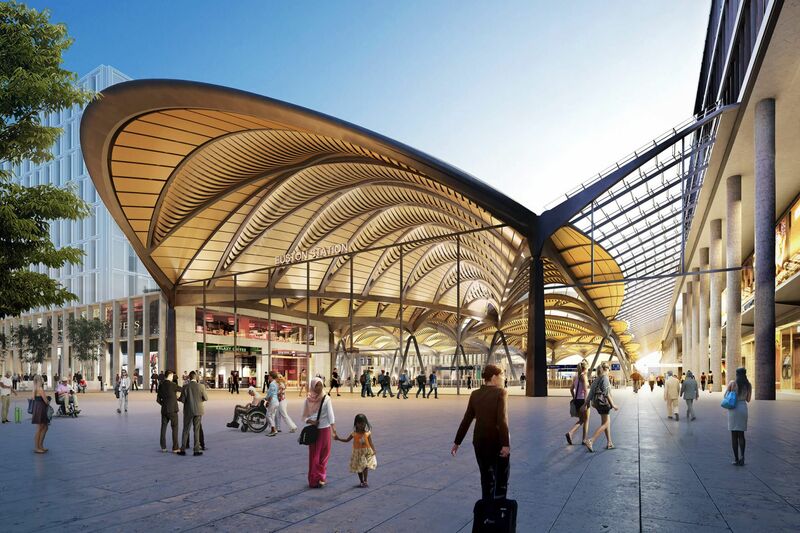 HS2 has named its preferred construction partners to deliver its two major station projects in London. 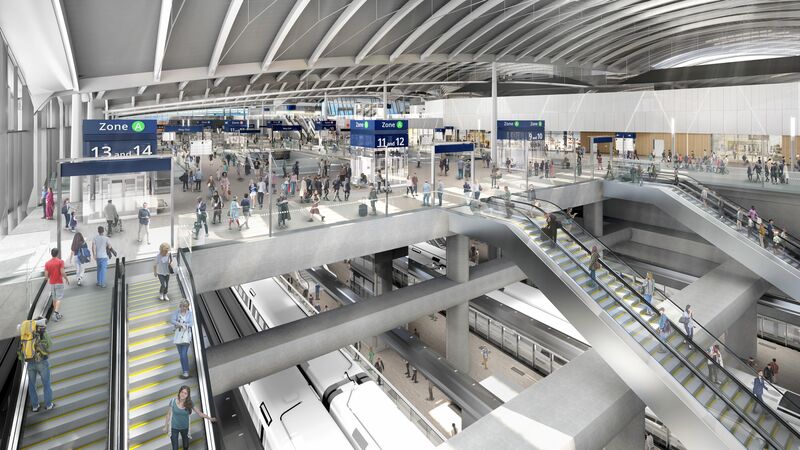 A joint venture between Mace and Dragados has beaten rival bidder Costain/Skanska to secure Euston station with a bid of around £1.3bn, which is below the original project estimate of £1.65bn. Eleven new platforms for HS2 will be built at the station in two stages as part of a phased approach that means less disruption for passengers. The decision will be a blow for Costain/Skanska, which was considered a frontrunner because it had already mobilised at the London station where it is early works contractor. Also Costain/Skanska/Strabag have the Hs2 tunnel contracts linking the two London stations. As part of the wider Euston station area development Lendlease is drawing up a masterplan that could support up to 14,000 new jobs and almost 4,000 new homes, as well as shops, cafes and public spaces. 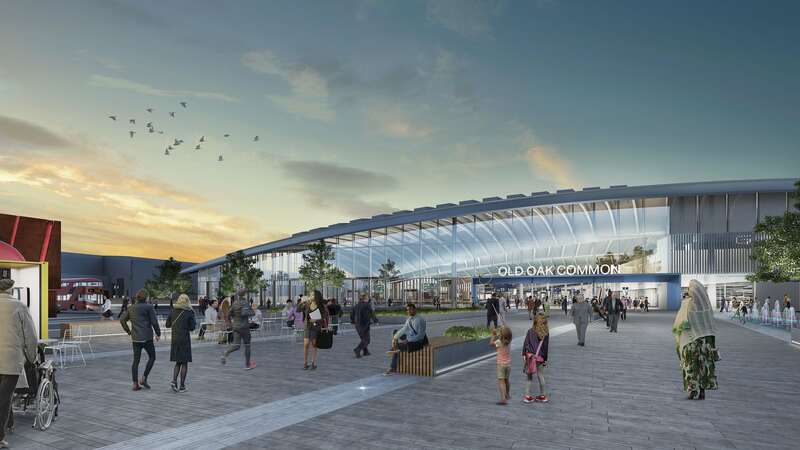 The other station at Old Oak Common in north west London will be built by a Balfour Beatty/Vinci joint venture who as construction partner will work with HS2 and designers to coordinate the delivery of the station, including platforms, concourse and links to the London Underground and other rail services. The full consortium is made up of Balfour Beatty Group /VINCI Construction UK/VINCI Construction Grands Projets /SYSTRA. It beat bids from BAM Nuttall/Ferrovial Agroman (UK); Bechtel and Mace/Dragados, which under the rules could only secure one station project. This complex station project has also come in just at just over £1bn, again less than the original budget estimates of up to £1.3bn. It is expected that around 4,000 jobs will be supported during construction of the two stations. 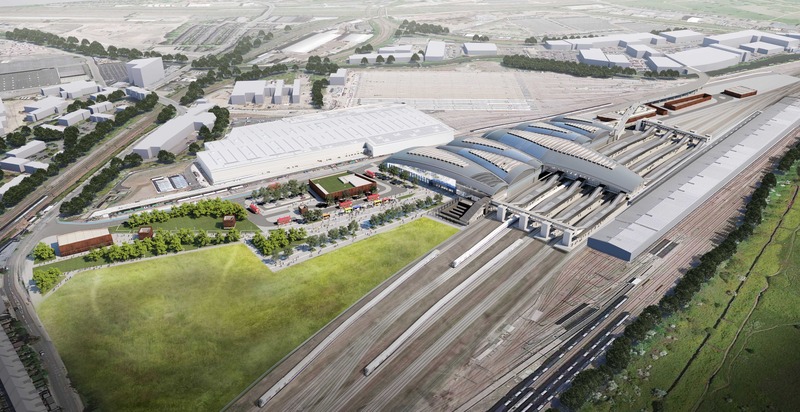 HS2 Chief Executive, Mark Thurston said: “Euston and Old Oak Common are two of the most important elements of the project – two landmark stations which will help unlock tens of thousands of jobs and new homes across the capital. Together with our Birmingham stations, they will transform the way we travel and set new standards for design, construction and operation. Crossrail has bust its budget by another £2bn as further delays to the opening of the project were confirmed. Crossrail first admitted this summer that the project had bust its original £14.8bn budget by £590m and was running late. The revised total cost of the project is now £17.6bn. The latest financing package has been agreed by the Mayor of London, the Greater London Authority and Transport for London. It comes as an independent review by KPMG into financing and governance on the project nears completion. 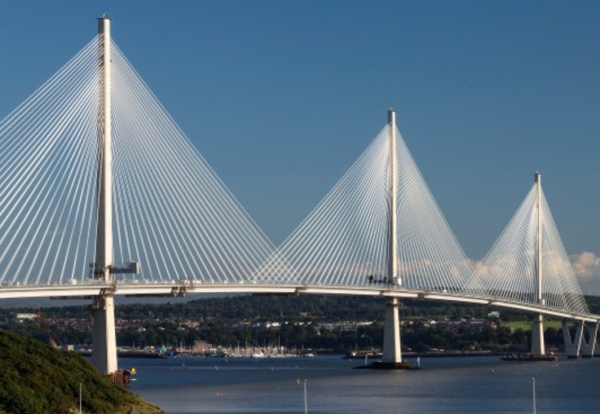 It revealed an estimated £1.3bn to £1.7bn shortfall in funding to complete the project plus the need for an extra £750m contingency fund. Mayor Khan said: “I haven’t hidden my anger and frustration about the Crossrail project being delayed. This has a knock-on consequence of significant additional cost to the project. It has been increasingly clear that the previous Crossrail Ltd leadership painted a far too optimistic picture of the project’s status. Tony Meggs will become the new Chair of Crossrail Ltd replacing Sir Terry Morgan who resigned last week. Meggs, who will step down from his role as CEO of the Infrastructure and Projects Authority (IPA), will oversee the final stages of delivering the Crossrail project. The Crossrail Ltd Board will be further strengthened with the nomination of former MP Nick Raynsford as Deputy Chair. Mike Brown, London’s Transport Commissioner, said: “Crossrail Ltd’s announcement of the delay to the Elizabeth line is extremely disappointing and, only now, is the scale of what is yet to be completed becoming clear. “The confirmation of this funding agreement will now allow Crossrail Ltd and its new leadership to focus on finishing the remaining construction work on the stations and tunnels and then completing the vital safety testing in order to open the railway for passengers as quickly as possible. Mark Wild, Chief Executive, Crossrail Ltd, said: “Since I joined Crossrail Ltd in November I have been reviewing the work still required to complete the core stations and rail infrastructure and begin the critical safety testing. “It is evident that there is a huge amount still to do. Stations are in varying stages of completion and we need time to test the complex railway systems. This means that I cannot at this stage commit to an autumn 2019 opening date. “My team and I are working to establish a robust and deliverable schedule in order to give Londoners a credible plan to open the railway and provide a safe and reliable service. 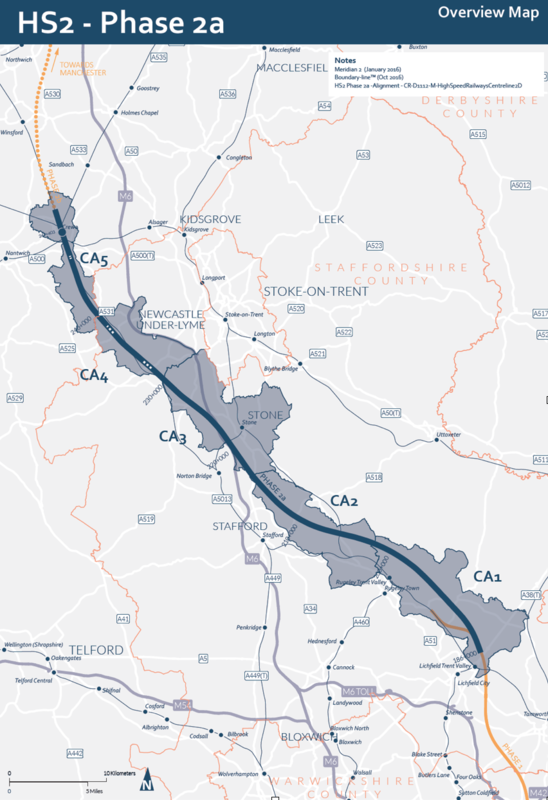 HS2 has outlined plans to split the proposed West Midlands to Crewe section of the high speed railway into two civils contract packages. Procurement chiefs said they are still keeping procurement options open with the possibility of running a competition between its four existing phase one joint venture contractors instead of a pre-qualifying a fresh field of bidders. A current market testing exercise will help to inform the decision about which procurement route to take later next year. 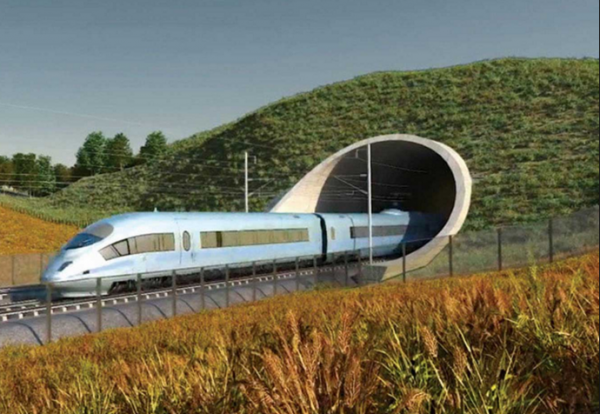 The 39km southern section of the HS2a route is expected to cost up to £870m while the shorter 28km northern section including two short tunnels is estimated to cost up to £750m to build. The procurement process could start by the third quarter of next year, with bids being invited in the first quarter of 2020, and the winning bidder announced by Spring 2021. It is thought the names will be officially confirmed shortly of contractors who have bagged places on the programme worth up to £8.7bn over the next six years. 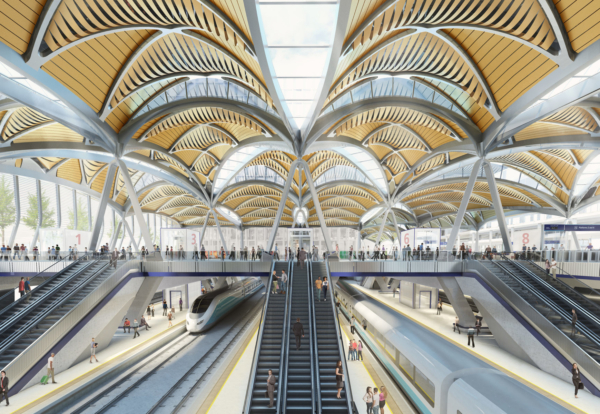 According to a new HS2 project skills strategy document a whole generation of engineers, designers, architects and geologists will benefit from the construction of the new high speed railway as the project gears up to support 30,000 jobs at peak construction. The M60 in Greater Manchester is officially the North West’s first fully-operational smart motorway, Highways England has announced. On 31 July the final package of smart improvements along junctions 10 to 18 of the M60 in Greater Manchester went live. The milestone means that the entirety of the motorway, from Junction 8 at Sale to Junction 20 at Rochdale is now fully-operational. But what does this mean for motorists? In addition to an extra lane running in both directions of the M62 between junctions 18 and 20, CCTV technology and electronic signage have been installed across the M60 and M62. The introduction of variable mandatory speed limits means that the motorway can be more responsive to incidents as and when they occur, meaning less congestion and frustration at stop-start driving conditions. “Going ‘live’ this week marks the most significant milestone for this project,” said Highways England Senior Project Manager Jonathan Stokes. “We would like to thank users of the M60 and M62 and people living around them for their patience and support over the last few years while we have worked to deliver this vital investment in what is an almost uniquely complex environment. The project’s completion has also paved the way for further resurfacing works along key sections of the M60, and a programme of overnight resurfacing and bridge maintenance is expected be underway later on in the month. This is all part of a £100 million investment in highways maintenance across the North West. Four more smart motorway schemes, worth an approximated £500 million and delivering 90 miles of additional lanes to the local road network, are also due to be completed over the next few years. With the first smart motorway in the North West now operational, Highways England has also encouraged motorists to learn more about the new system with the guidance available. Highways England has said that more than 100 miles of extra lanes will be added to the North West’s motorways through schemes starting on site in the next 18 months. Four new smart motorway schemes – with a combined value of about £500m – are due to start construction work within the next 18 months, it said. Contractors for Highways England will begin work on the first one later this summer – a nine-mile stretch of the M62 linking the M6 near Warrington to the M60 near Eccles. The final temporary narrow lanes were removed earlier this week on the Manchester smart motorway scheme, and more than 200 electronic signs are due to be switched on later this month on a nine-mile stretch of the M60 between Trafford Park and the M62/M66 interchange at Simister Island. Mike Bull, Highways England’s smart motorways programme manager for the North, said: “Smart motorways have been proven to be effective at tackling congestion, with the smart motorway on the M62 in West Yorkshire saving commuters an average of 30 minutes each week. Smart motorways use technology that monitors traffic levels so that variable speed limits can be set automatically on overhead electronic signs to keep traffic moving at a steady speed. New CCTV cameras will also provide 100% coverage of the routes and Highways England will be able to display red Xs on overhead signs to close any lane, allowing its traffic officers and the emergency services to get through. Construction work will begin on a three-mile stretch of the M62 near junction 12 this summer. Temporary narrow lanes will be introduced to allow contractors to work at the side of the motorway, and a 50mph speed limit will be needed for the safety of drivers and workers. The roadworks will be gradually extended to junction 10 by the autumn and the smart motorway scheme is due to be completed by spring 2020. Work will start in spring 2019 on a four-mile smart motorway on the M56 near Manchester Airport, and on a 10-mile stretch of smart motorway on the part of the M6 which links the M62 near Warrington to the M58 near Skelmersdale. A new 19-mile smart motorway will be created over the Pennines on the M62 between Rochdale and Brighouse. The route will link up with other schemes on the M62 to create almost 60 miles of smart motorway between the North West and Yorkshire, with construction work due to start in autumn 2019. Construction buyers reported a steady continuation of industry growth following a dip in output earlier this year. 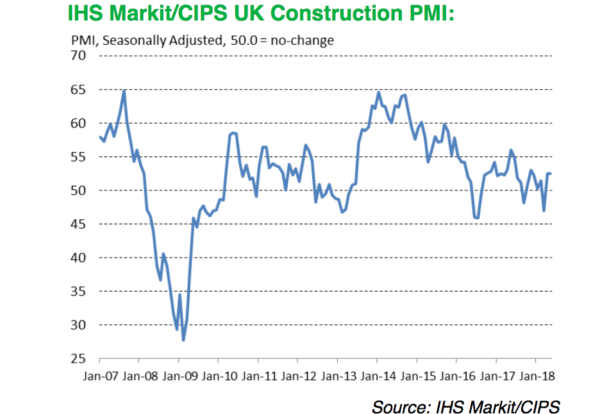 The latest IHS Markit/CIPS UK Construction Purchasing Managers’ Index for May registered 52.5 – exactly the same figure as April. Crucially the figure remains above the 50 mark which represents the threshold for continuing expansion. But optimism about future growth fell to a seven month low and purchasing costs rose sharply particularly for fuel, plastic and steel. Sam Teague, Economist at IHS Markit and author of the report said: “The May PMI data signalled an unchanged pace of activity growth across the UK’s construction sector since April’s somewhat underwhelming rebound, yet nevertheless indicating a recovery in the second quarter after the contraction seen at the start of the year. “However, activity in May was once again buoyed by some firms still catching up from disruptions caused by the unusually poor weather conditions in March, and a renewed drop in new work hinted that the recovery could prove short-lived. “Inflows of new business slipped back into decline, signalling the resumption of the downward trend in demand seen during the opening quarter. “Companies frequently noted that Brexit uncertainty and fragile business confidence led clients to delay building decisions in May. Duncan Brock, Group Director at the Chartered Institute of Procurement & Supply, said: “The two millstones of uncertainty and weak economic growth gave the sector plenty to worry about this month, and whilst activity still grew, the lowest business confidence in seven months suggests the subdued pipeline of new work is having an effect. With a decline in new orders for a fourth time in five months, it was client hesitation and consumer diffidence towards spending that had construction activity stuttering. “Higher prices for fuel, raw material shortages, higher labour costs combined with slow delivery times were further obstacles to growth as firms nervously assessed their workforce for much-needed talent and sub-contractors could name their price. “However, it’s encouraging to see the housing sector put in a strong performance for a second month running, after stumbling at the beginning of the year, and with only small improvements in the other sectors, residential building is keeping construction’s head above water.